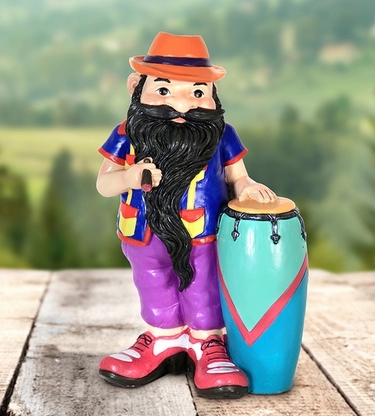 Get your groove on with our Havana Gnome and his conga drum! He is sure to be the life of the party with his fedora, elongated beard, oversized shoes and more colorful details! A fun addition to any garden! Size: 8.75" x 5.75" x 14"H.